A custom Storefront branded for your organization allows you to order and track your own inventories, create variable data mailers and decentralize your ordering process. Our storefronts also have built-in reporting compatible with MS Excel. Click below and create a new account or login to view our demo site. We are able to supply every possible promotional product from over 3000 suppliers. With so many ad specialties available there’s a huge opportunity to boost your message with a lasting impression. For more info contact Donna Kersey at 803-343-6775. 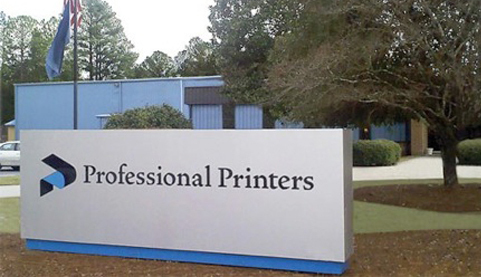 From a combination of boundless optimism, long days and sleepless nights, Professional Printers, Inc. has emerged to become one of the largest commercial printers in the Carolinas. Printing is more than ink on paper, unless the client says it’s not, then we just nod. Color is in the eye of the beholder; sometimes black ink is, too. We provide a service more than a product—we are part of a larger purpose for our clients’ and it’s a compliment to be included. As we head into the future, we are more enthusiastic than ever about our industry and our future. We love what we do and plan to do a lot more of it. Our people make it awesome to come to work every day. But above all, our clients make it possible. We never, ever forget that. Wide Range of Solutions – simplifies your buying. Outstanding Customer Focus – gives you personal attention. Financial Stability – provides you with a long-term partner. National Award Winner – ensures quality. Reliable Delivery – keeps you on schedule. Competitive Pricing – protects your budget. Tons of Experience – ideas and solutions for free. Direct Communication – customer service and prepress combined. We exist to strengthen our clients’ success as their preferred partner in print and graphic communication. Subscribe to our email blasts and receive the latest news on the resources we provide for you like dieline catalogs, promotional items, creative services, online storefronts and more! 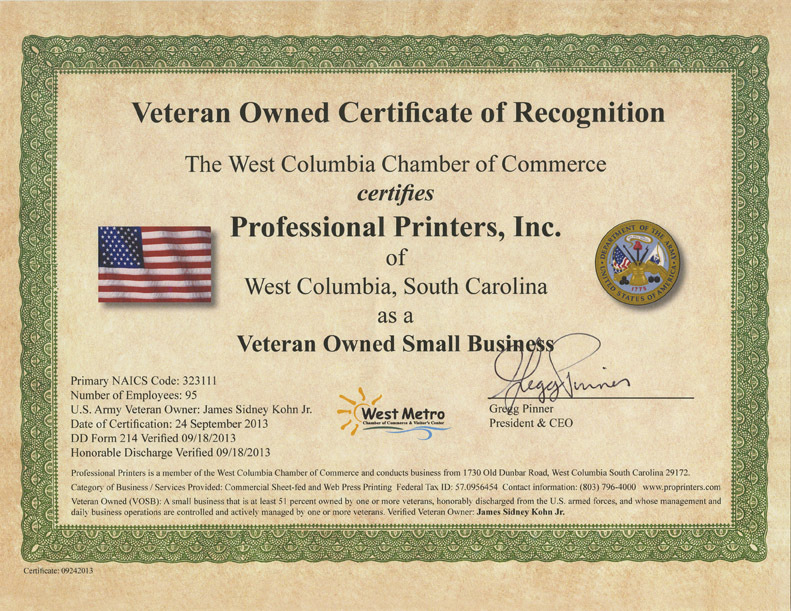 Professional Printers is an FSC Certified Printer. The Forest Stewardship Council (FSC) is an international organization whose mission is to promote responsible management of the world’s forests. FSC sets forth principles, criteria, and standards that span economic, social, and environmental concerns for the preservation and sustainability of our natural wood resources. FSC certification ensures that your paper comes from well-managed forests and is manufactured by companies that adhere to strict environmental and socioeconomic standards—from harvesting, to the pulp, to paper production, to shipping, to printing, to you! Buying FSC-certified paper and carrying the FSC-certification logo on your printed product tells your customers and clients that you are taking the initiative to ensure a sustainable future. At Professional Printers, we also use vegetable-based inks. Any unused portion is collected and reconstituted to be used as fuel oil, primarily for the ceramics industry. If you would like to know more about our sustainability efforts, click below to read our sustainability report, and we can help you develop one for your organization.